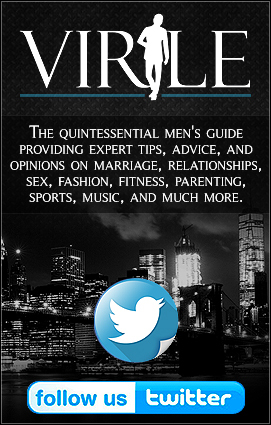 VIRILE - Will You Love or Hate Online Dating Sites? When I started to write this piece, I wanted to show the amount of usage of online dating sites and apps. However, it would have been a piece stated in obvious terms. We know there are thousands of sites, and we know millions of people have tried it at least once. Perhaps it is also common knowledge of the demographic who gets the most use out of them. Statistics would fill the page, and while those are extremely important in our analysis of the dating world, we are going to slice the meat of it, and understand the “why" of this phenomenon. Of course, with the “why” comes an opposite reaction of “why not” and both are discussed in this piece. I posted several questions to social media and personal contacts, and these 5 elements are the top reasons why they prefer to use online dating. Short on Time. This is seemingly the #1 reason potential daters opt to use online dating sites. Many subscribers don’t have much free time to go out to meet new people. With American work weeks growing longer and longer, people have less time to make it out into the dating scene. Online Convenience. Convenience lends to time, but another key element arises here. We are a society of social media friendships, businesses, education, etc. To add dating and romance to the social media world, it has made it more convenient for the person who already spends most of their time behind a computer screen. Additionally, users say it is more convenient to have their picks right in front of them. They can see who is available and compatible with some clicks on a keyboard. Relocation. Another reason I found was that potential online daters were relocating to other cities and wanted to get a jump on finding companionship before they got there. Or, newcomers use online dating sites to meet new people once they moved to a different city. Not social. Several respondents indicated they were not social creatures. Many mothers explained the difficulty of traditional dating while having children at home. Others simply replied they did not leave the house much; being a homebody would impede on finding a companion other than using an online outlet. Entertainment Only. There were a surprisingly high number of people who claimed they use online dating sites as a form of entertainment. They were not looking for anything long-term or any kind of serious relationship. Instead, they made connections with other users to have nights of simple fun. Some respondents also claimed another interesting fact: they use certain sites to have good laughs at the expense of others. With the good come the bad in everything, there were also a few negative comments I received about online dating sites. Superficiality, untruthfulness, and safety topped the list of negatives in the survey I conducted online and in person. Superficial beings. This complaint came from users who said many profiles were set up to tell a potential date all the positives of their personality and none of the negatives. They also only touched the surface of a user’s character and not providing a more comprehensive background. Liar, Liar. Former online dating site users felt deceived on certain occasions. After they matched with someone, they met in person only to discover the reasons they attracted them in the first place actually did not exist in real life. They claimed the profiles were lies put together merely to attract matches, and could not live up to it once the match came to life. Safety First. There were not many bad stories, and they were mostly about their dates acting weird or strange; but at some points, online dating site users said they did not feel safe upon meeting their matches out in public. This is troubling, indeed, and as an aside, I would strongly caution any person who feels this way to seek help immediately. There you have it, the reasons why and why not: people choose to use online dating or avoid it. It is interesting to note, most of the responses came from former users of dating sites who are now married to a match they made on a site. This way may be for you, or it may not be. It is up to you to decide what is best and what fits your dating style.